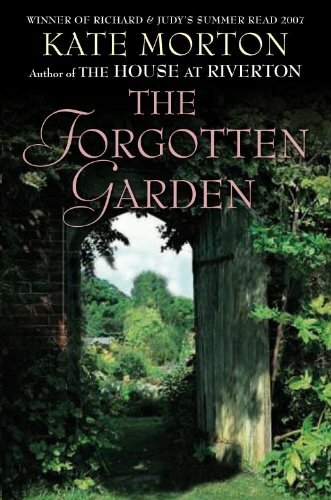 For the last few years; it hasn’t been possible to step into a book store and not see a large poster with an enigmatic image of a garden printed on it, promoting some historical mystery or other. The fault can be laid solely at the door one Australian author, who captured readers imaginations around the world in 2007 so successfully that ever since every publisher promoting female authors have aped her cover art (the same way that historic thrillers written from 2003 onwards have aped the Da Vinci Code…in both art and content…)! Kate Morton didn’t creep up on the reading world, she *EXPLODED* onto the scene! Every reader of note in my life recommended her works to me at some point or another. As a club; the original trio at LeedsBookClub sort of discovered Kate Morton’s books together. We were late to the game – waiting in our usual way to pick up a copy second hand or from a library – which I’m delighted about as it meant the hype had faded somewhat. We went in with few expectations and were free to sink into the books without any preconceptions. We rarely seemed to read the books at the same time – this having more to do with our entirely unrealistic and unmanageable ‘must read’ book piles than through any sense of reluctance! I do remember that t’elf and I read them in their printed order, though I think the Silent Partner (the non-blogging member of the original LeedsBookClub trio) read the second one first, followed by the first. 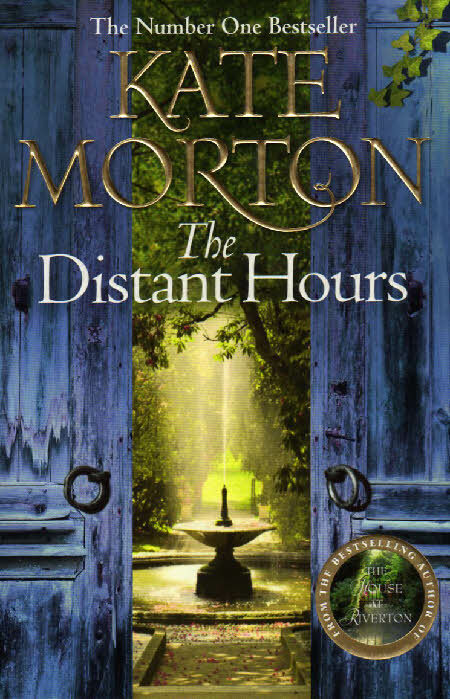 Recently, the SP lent me the third Kate Morton book. We’re going to have a proper session once I pass it over to t’elf, but I thought I would share my thoughts with y’all here. I’ll update with the others thoughts at a later date! Grace Bradley, ninety-eight, one time housemaid of Riverton Manor, is visited by a young director making a film about the poet’s suicide. Ghosts awaken and old memories – long consigned to the dark reaches of Grace’s mind – begin to sneak back through the cracks. A shocking secret threatens to emerge, something history has forgotten but Grace never could. One of the best written upstairs/downstairs, now/then books I’ve ever read! This is an incredibly visual book – the word cinematic has been used by others – and I have to agree. I’d just watched the heart-breaking, gut-wrenching Atonement and am not ashamed to admit that I used the visuals from that to inform my mental imagery – Keira Knightly as Hannah etc. I devoured this book – I’d have read it in one giant gulp if I hadn’t had insignificant things like eating; sleeping and working to unnecessarily distract me. Although the denouncement is not as big a surprise as the build up would have suggested; I was sufficiently emotionally involved that I felt it keenly. OK, the dialogue was in parts a tad clunky, but as debut’s go, I found this to be an exciting introduction to a new talent. Inheriting a book of dark and intriguing fairy tales written by Eliza Makepeace – the Victorian authoress who disappeared mysteriously in the early twentieth century – Cassandra takes her courage in both hands to follow in the footsteps of Nell on a quest to find out the truth about their history, their family and their past; little knowing that in the process, she will also discover a new life for herself. I’m afraid I was quite disappointed at this offering – which felt more like a copycat version of Kate Moton than a fresh offering by her. Perhaps it was a mistake to read one book directly after the other – I did have such high expectations going into it. Once again, the book is set primarily in England, though there are brief forays into Australia. Once again it moves between two time frames. Once again there are two primary protagonists – Nell in the past and Cassandra in the present. It borrows VERY heavily from the Secret Garden, without capturing the fresh winds of change that identify that work so powerfully. Dark and Gothic in places, these traits feel more like stereotypes of the genera than a continuation of the noble tradition of Jane Eyre. However, it is very readable. The language and imagery is as beautiful as I’d come to expect from Ms Morton. The dialogue is in fact much stronger than in it’s predecessor. The romantic elements are not as tainted by tragedy, making them lighter and more believable in places. In fact, I think that the writing was improved upon; it was the plot – too similar to Riverton and more convoluted – that let me down. It also felt far too drawn out – ultimately the descriptions were wonderful but utterly let down by what felt like a much more slender plot. The SP totally disagrees with me here (though I think that BE and I are of one mind – I’ll have to check). 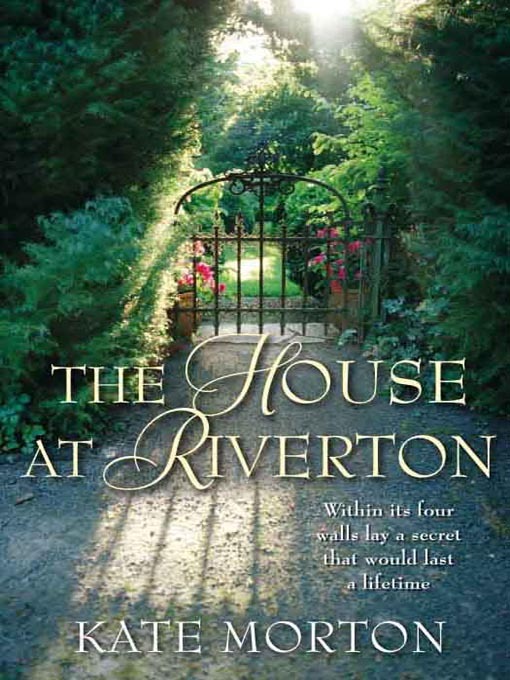 She was introduced to the author from this book and much prefers it to the House at Riverton. I think that with such similar books, whichever you discover first will be the one that you prefer (funny – just made me think of the Da Vinci code again. I was introduced to Dan Brown after Angels and Demons and have always preferred it to it’s better selling sibling). A lost letter arrives in the post and Edie Burchill finds herself on a journey to Milderhurst Castle, a great but mouldering old house, where the Blythe spinsters live and where her mother was billeted 50 years before as a 13 year old child during WWII. The elder Blythe sisters are twins and have spent most of their lives looking after the third and youngest sisters, Juniper, who hasn’t been the same since her fiance jilted her in 1941. Inside the decaying castle, Edie begins to unravel her mother’s past. But there are other secrets hidden in the stones of Milderhurst and Edie is about to learn more than she expected. The truth of what happened in ‘the distant hours’ of the past has been waiting a long time for someone to find it. ‘Ok, time jumping – check. Female protagonists – check. She’s found her style and she is sticking with it. Ohh, that’s a bit dark and moody. Good, I like proper Gothic. How many new characters are going to be described down to the DNA strand? Ooooo I think I know where this is going…wait…what’s happened there? HOLY MOTHER OF…WHAT THE… ah no…oh that’s so sad…NO WAY! *sob*…well that was just…WHAT?!? So she’s wrong…OH MY SWEET SAINTS. so really…WWWWWWWWWWWWWWAAAAAAAAAAAAAAAAAAAAA’. No really. Possibly a little less lucid, but that was pretty much it. The book is overlong. The descriptions – though beautiful – are overdone. There are too many characters, too many strands, too much build up, too many diverging story lines. Ms Morton has completely fixed her dialogue issue. Each character is distinct, both in actions and in speech. Unlike her second book (in my opinionation*) the huge build up is matched by the equally immense plotting. The beauty is that you never really feel like the plot is convoluted until the end. It feels more like there are going to be loads of loose ends and then – well – let’s just say it’s a deeply emotionally satisfying and rewarding book. I heartily recommend and will be passing over to the Elf as soon as possible!